Vocals – the final frontier. By far the most important aspect of any song. It’s weird, but we identify with vocals more than anything else. A killer chorus can just wedge its way into your brain and won’t let go. Even when you want it to! And if you throw on a modern pro mix, the vocals are huge. They command your attention. How the heck do they do it? How is it that vocals can sound so monstrous and wide in the mix? 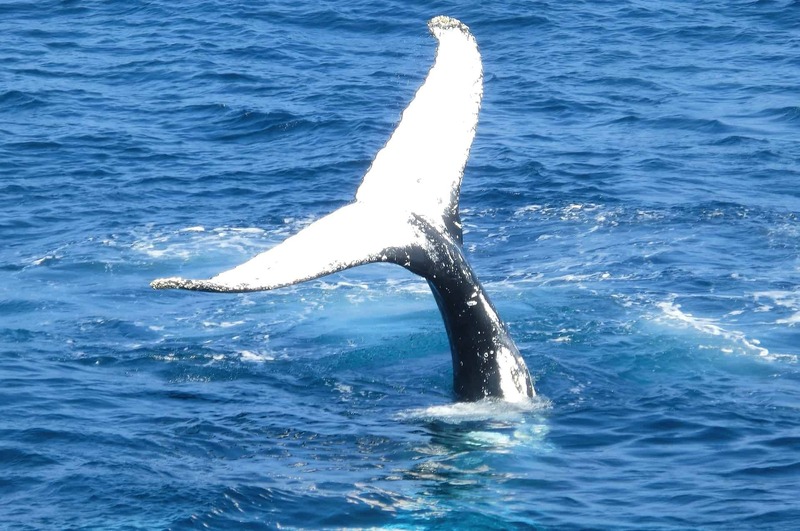 From fluctuating tonality to huge dynamic shifts – vocals can be the proverbial white whale to get right. And even when you’ve carefully tweaked the EQ and compression for the last 4 hours… they still sound puny. You’re not alone in this! It turns out that EQ and compression aren’t quite enough by modern standards these days. 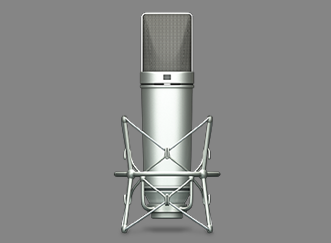 But there are are plenty of tools in your Logic tool kit to help widen those vocals. You just need to use a healthy dose of bussing. Of course there are many ways to add girth to your vocals. 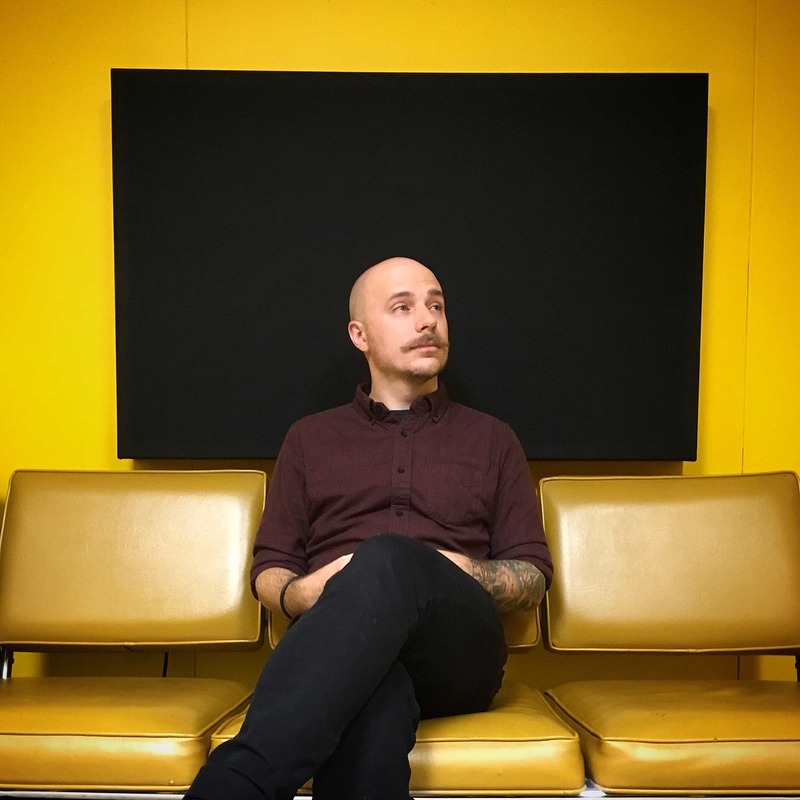 So today I want to show you my 3 tips for nailing wide vocals. Pitch shifting is like a secret weapon to wider vocals. It’s sooo not obvious a trick, yet it makes a huge difference! Make sure the bus is in Stereo. Let’s name this bus “Shift,” and load the Pitch Shifter plugin onto it. Introduced in Logic 10.3, Dual Mono is freaking awesome. Dual Mono let’s you take a track and split it into two mono signals. But without you having to create two mono tracks! Take note of the L for Left, and R for Right. Set the Mix for each Left and Right side to 100%. This will ensure we’re only hearing the effected sound. Also Enable Latency Compensation. 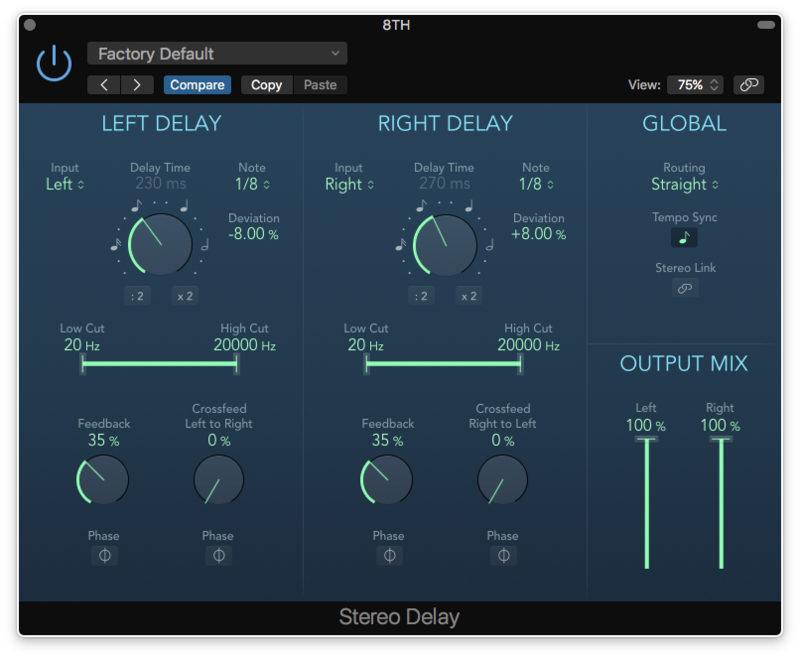 This compensates for any sort of delay the plugin introduces. Semi Tones are half steps in an octave. While Cents are tiny tonal steps – 100 Cents for every Semi Tone. So what we’ve done here is Set the Pitch Shifter to be just a tiny bit off from the vocal pitch in both directions. The result is a widening effect. From here just adjust your Send volume until the vocals widen up nicely in the mix! Delays are awesome for a lot of reasons. And in this case, they work great for widening vocals (or any other instrument). 16th Note Delays are so quick, that it almost sounds like a room reverb. While Quarter Note Delays aren’t as fast, so they feel good when you’re looking for a spacey effect. Click another empty Send on your vocal track. Now choose the next available Bus. Let’s name this Bus “8TH” and load up the Stereo Delay plugin on it. I always like my delays to Sync to the tempo of my project. That way the delay is always right on beat, and isn’t mucking up the feel of your mix. Then go ahead and choose 8th under the Note drop-down menu for each Left and Right side. 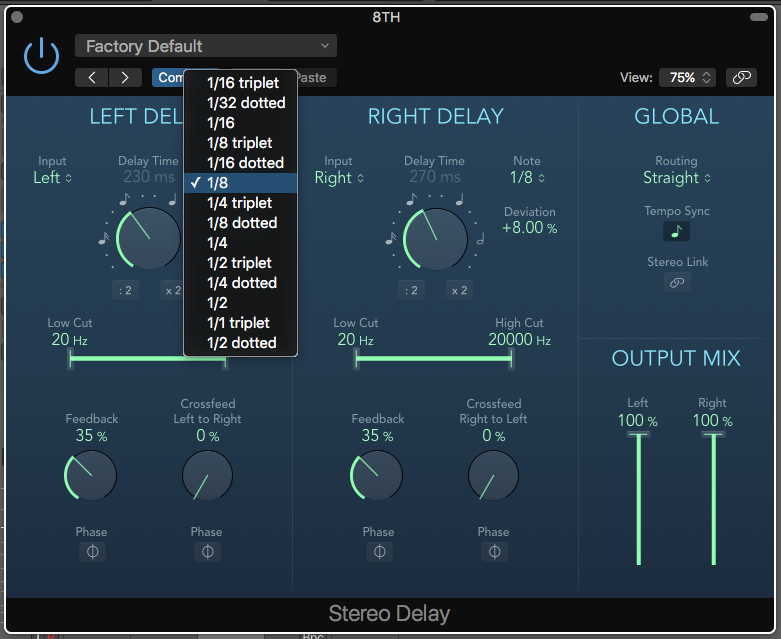 Much like our Pitch Shifter plugin, we’re going to adjust each side’s Deviation a tiny bit. Try setting the Left side’s Deviation to -8%, and the Right side to +8%. With the Send level at 0 dB, the effect is going to be startling. The delay seems to drag in an ugly way. But as you reduce the Send level, the Delay will seem to lock into place. While the Chorus plugin is straight-forward modulation, Ensemble can add serious depth. 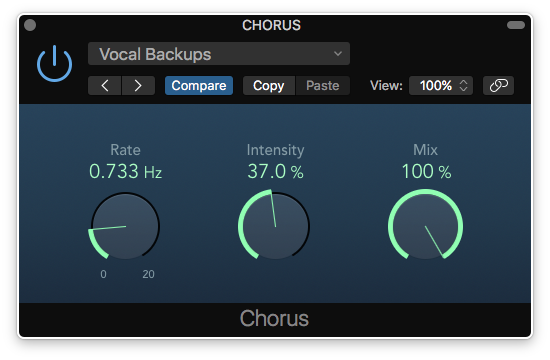 Load up the Chorus plugin. Now you could do something fancy like Dual Mono. But let’s keep it simple. 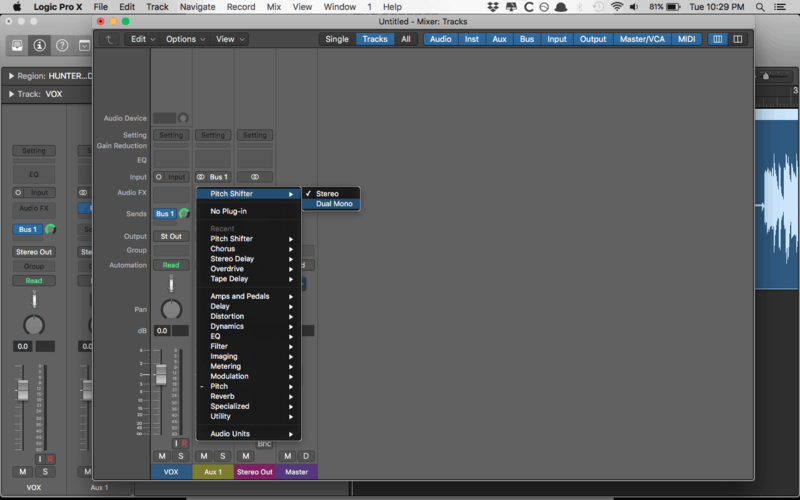 Instead, go to the presets and select the Vocal Backups preset. Take note of how small the Rate is. You don’t need to go crazy with Rate! In fact, the smaller the number, the less distracting the effect will be. But it’ll blend nicely. The Intensity is also set to a conservative 37%. A big ‘V’ has a deeper dip in it than a small ‘v’. So the Intensity is how deep of a modulation you want the Chorus effect to have. While Rate is how fast or slow you want the Chorus to modulate. 100% is what we often want to set Bus effects to. Since the effect isn’t on the vocal track itself, we already have a completely dry signal. So the Bus has a Mix of 100% so we can blend the effect underneath. Huge vocals are the norm in modern music. Vocals that are up front and wide command our attention and don’t let go! You are awesome Chris! Thank you so much!! But what if you don’t have Dual Mono? Could it be used in Stereo? Thanks Andreas! If you don’t have Dual Mono, you can always create 2 Aux Channels and place the Pitch Shifter on each Aux. 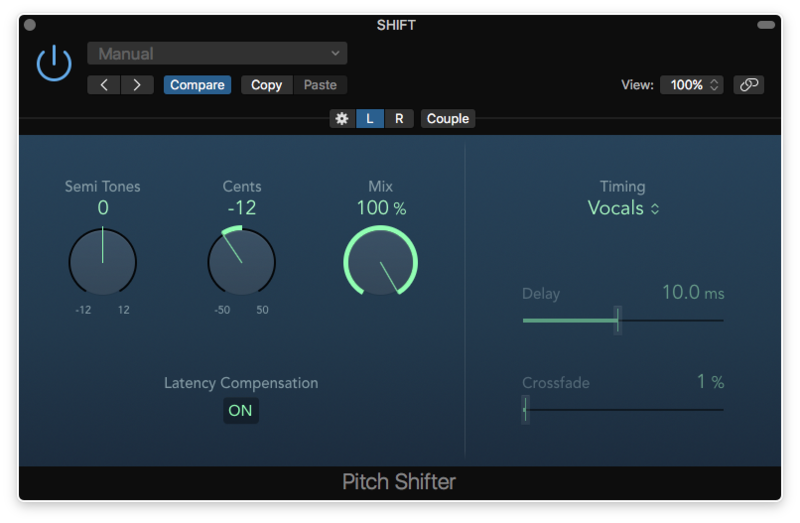 One Pitch Shifter -12 cents, and the other +12 cents. So interesting blog! Thank you very much! Really useful tips! May I ask, how does one rename a bus? Some research suggested to go to the Mix menu > I/O Labels. Tried that without any luck?